Did you know that drone racing has deep grass root already and that dozens of races take place every month? 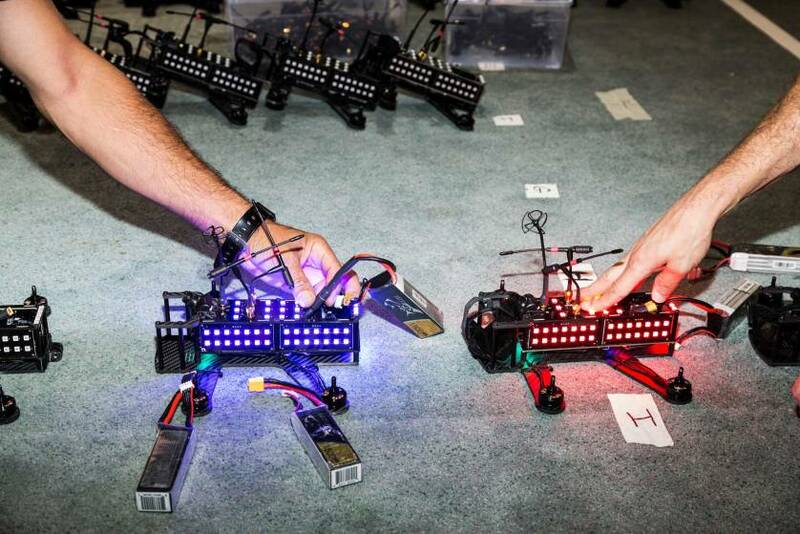 Indeed it appears that drone racing can be the sport of the future and it is going main stream. But, no one saw the first National Drone Racing Championship that took place last summer in Sacramento where 120 people competed. Not many knew about the World Drone Prix in Dubai this past March either, although 250 teams entered and the winner, a fifteen year old boy from Sommerset, England, picked up a $250,000 cash prize. On Governors Island in New York City, the second National Drone Racing Championship took place August 7th with Zachry Thayer, racing under the name A Nub, and won… Only the big news on that day was not the win but the broadcast of the entire event on ESPN3. Indeed, when a media network picks up an event of the sort you can pretty much bet that it is something that is going main stream. Drones are fun, they are innovative and appeal to many of us, as brand new toys. Why not? They are cool. They come in different shapes and sizes and we can easily be acquired… Their costs is not excessive… and they will be even more in demand in the future. Learning about the latest UAV/UAS video capture, management and delivery is a skill of the future. If you are a new aficionado, it may be helpful to know that the National Drone Show Training coming up December 7 and 8, 2016 in Washington D.C. will cover a lot of issues associated with security, broadcast, training, newsgathering, surveillance and more. Certified FAA experts and pilots will present how to best implement UAV technology. From brief tutorial to in depth-training, gaining experience is something you can do during the after-hours at the show in a flying cage… even if you do not have a drone yet. But there is more on the drone horizon… A new player could be of interest to you… I got attracted to one particular design and wanted to know more about it so I thought I would pass the information along. 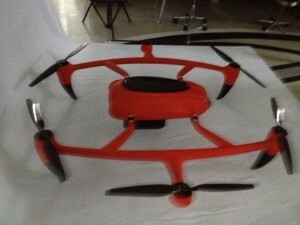 MMC, the maker of HyDrone 1800 developed the first commercial hydrogen drone and it looks very much like a space ship. 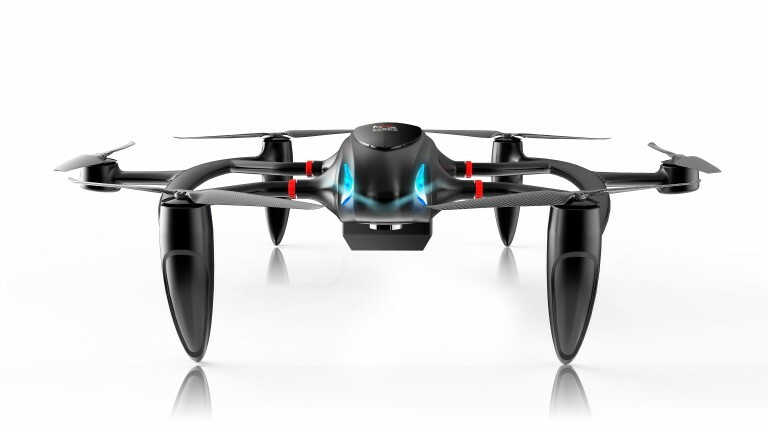 It reminds one of a sports model, with an aerodynamic and sleek design, sporting two led lights and six large propellers. It is constructed almost entirely of carbon fiber, the same material used in high end sports cars. While flight time is estimated to 3 to 4 hours, the easy access to the hydrogen canister makes a switch of the tank a matter of minutes and the drone can be back in operation in no time. 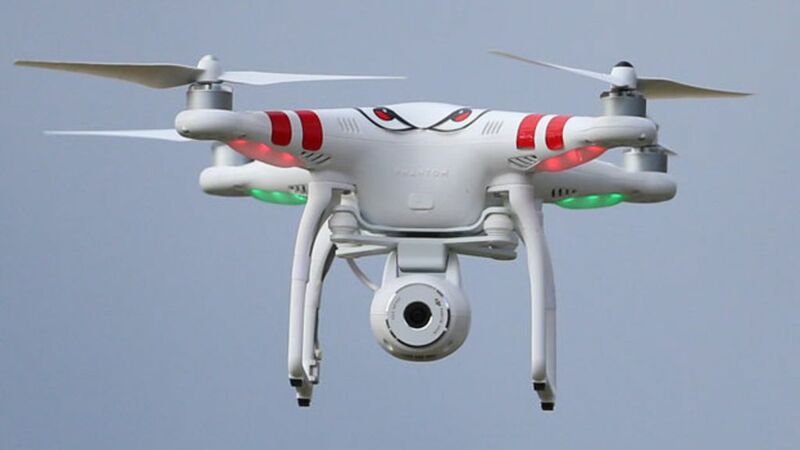 The added positive feature of this drone is that it can fly at an estimated – 20 Celsius temperature, thereby expanding the field of application for this drone. I wonder if it can make its mark in racing in spite of its intended commercial use?